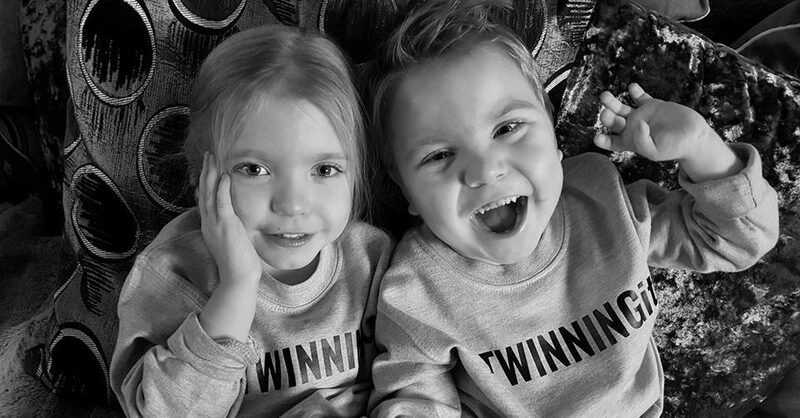 This is a blog entry looking back to when I was pregnant with the twins and detailing a particular scan which changed everything. It all started on Wednesday 25th July 2012 with a routine growth scan. I had been feeling well and the previous scan just two weeks prior didn’t show any problems so we decided to bring along the girls. Unfortunately the Doppler scan found reduced blood flow in the umbilical cord and they were concerned about Owens growth. Our consultant warned us they may have to deliver that day. First he wanted another consultant who was an expert in Doppler readings to scan me again. The two consultants staring at the screen talking medical jargon in hushed tones. They turned and told me they would be happy to look at the situation again in a week as the blood flow had slowed but not stopped. In the meantime I would have steroid injections (they are really quite painful) to help mature the babies lungs. I was to come into hospital every other day for CTG monitoring and they would scan again next week. The other consultant left the room so my consultant wanted to make sure I understood all that had been said. He warned that if in the meantime the cord blood did stop baby one would die, so to come in if there were any lack of baby movements or I just felt something was wrong, We said our goodbyes and he left me with the words “Be prepared for delivery”.